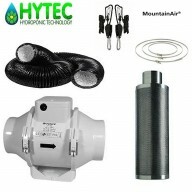 Home » Environment control » Filtration Kits » Mountain Air Carbon Filter kits. 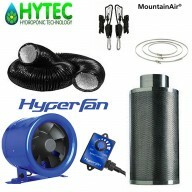 Mountain Air Filter kits with TT fan Voted North America's Best Filter - FIVE TIMES!! (3 Year Life) MountainAir® Filters are a range of filters that have been designed to maximum quality, performance and durability. 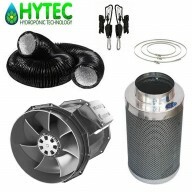 No other filter has been able to last more than 3 years durati..
Mountain Air Filter kits with RVK fan All our MountainAir filter kits are supplied with 5 metre of Combi-ducting 3 quick clips of the neccessary size kit you require. A pair of rope ratchets! 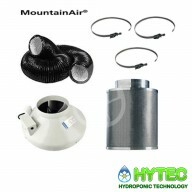 !​ MountainAir Filtrs Mountain..
Mountain Air Filter kits with Phresh HyperFan All our Mountain Air filter kits are supplied with 5 metre of Combi-ducting, 3 quick clips of the size kit you require A pair of rope ratchets!! Mountain Air Filters Voted North A..
Mountain Air Filter kits with Stratos Fan All our Mountain Air filter kits are supplied with 5 metre of Combi-ducting, 3 quick clips of the size kit you require A pair of rope ratchets!! Mountain Air Filters Voted No..